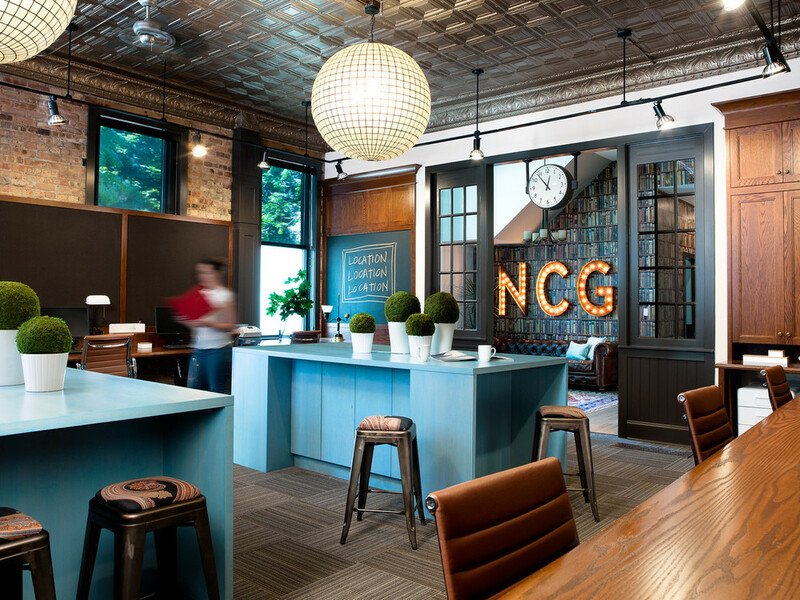 At North Clybourn Group's Bucktown Office we combined old and new for an amazing effect. Many vintage details in this Victorian building had been eliminated in renovations over the years. S+F designs old school elements that contrast beautifully with modern furnishings for a space that feels both modern and nostalgic.